All screenshots on this page are for the sole purpose of promoting myself and the works pictured. 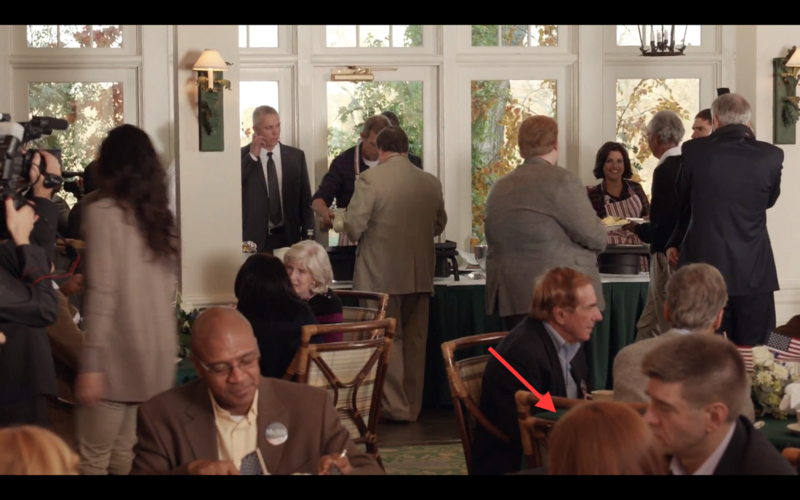 Veep Episode 406 "Storms and Pancakes"
The back of my head can be seen during the pancake breakfast with the President and her running mate where I put the arrow. Watch the episode at HBO. It's great. Image screencapped by me from HBO GO. 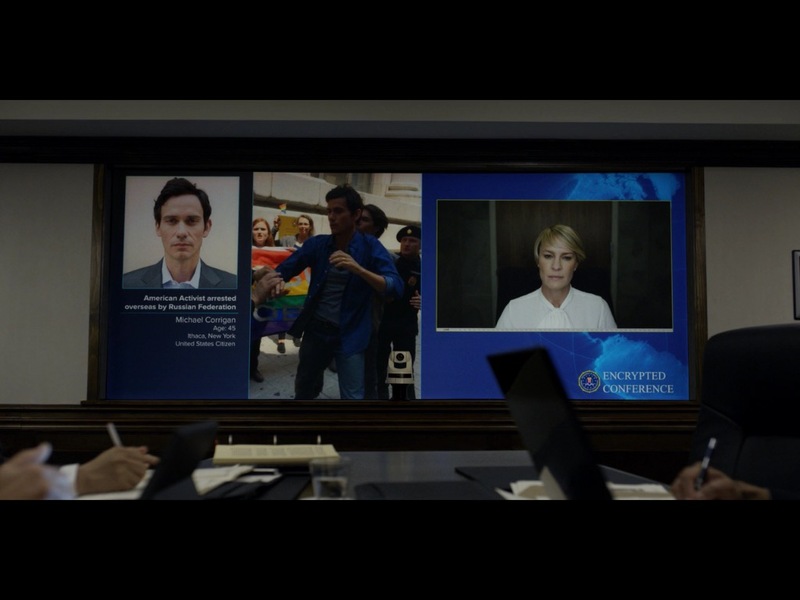 House of Cards Episode 304 "Chapter 30"
I nearly missed this one because I looked for myself in the wrong episode. I found out I was in this one by looking up Christian Camargo on IMDb. I can clearly see my face here. I am behind the rainbow banner on the far left. The episode can be seen on Netflix. Watch it. Image screencapped by me from Netflix.